Convert from Islam reviled for ‘apostasy,’ convicted in one week. 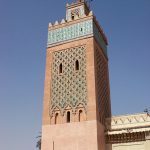 TIZI OUZOU, Algeria, (Morning Star News) – The swift conviction of a Christian for “proselytizing” in Morocco last week shows a harsher reality than the moderate face the country presents to the West, sources said. A court in Taounate, a town in northern Morocco of some 33,000 people about 80 kilometers (50 miles) from Fez, sentenced Mohamed El Baladi to 30 months in prison on Sept. 3, just a week after his arrest on Aug. 28 and before police allowed him to obtain a legal representation, a source close to Baladi said. The source, who requested anonymity, was among the converts from Islam whose names El Baladi was allegedly pressured into revealing, along with the names of two U.S. Christians in Morocco. He said the prosecutor in El Baladi’s case had ordered the arrest of the named Christians, and that friends of El Baladi have received phone calls from Moroccan security officials seeking to confirm that they know him. El Baladi, 33, converted from Islam to Christianity seven years ago. It was highly unusual, the source said, that the case of El Baladi was concluded in one week. El Baladi was reportedly prohibited from contacting friends, family or an attorney until after his conviction. Friends of El Baladi have since found him an attorney, Aababou Aderrazzak, who began an appeal on Tuesday (Sept. 10). El Baladi was charged with proselytizing young Muslims. 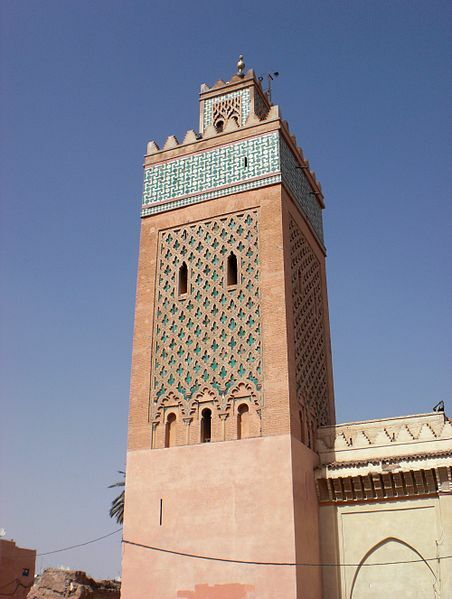 Article 220 of Morocco’s penal code states that those inducing a Muslim to convert may be punished by six months to three years in prison (not three to six months, as reported in Wikipedia and elsewhere) and fined up to 500 dirhams (US$60). El Baladi’s fine of 1,500 dirhams exceeded the maximum; the fine has been misreported as 5,000 dirhams, probably because police also took 5,000 dirhams from his home during the raid, the source said. While apostasy is not illegal in Morocco, the prosecutor and law enforcement officials reviled El Baladi for leaving Islam to become a Christian, the source said. Strict sharia (Islamic law) condemns apostates from Islam to death. A representative of the Moroccan Association for Human Rights called El Baladi’s conviction and sentencing a violation of the Universal Declaration of Human Rights (UDHR). Algeria is a signatory to the International Covenant on Civil and Political Rights, which implements provisions of the UDHR. Along with the 5,000 dirhams police stole, gendarmerie also seized several Christian CDs, books and magazines, sources said. In court, El Baladi did not deny his conversion to Christianity. While the West has generally applauded Morocco’s new constitution of 2011, which prohibits torture, sources said El Baladi had to have been tortured or threatened with torture to have revealed the names of other converts from Islam. The new constitution also provides for a fair trial and presumption of innocence until proven guilty for those accused of breaking the law. Morocco’s new constitution came in response to calls for a more democratic state as similar “Arab Spring” movements generated unrest in the Middle East and North Africa. While police harassment of Christians is common in Morocco, El Baladi’s case comes as Christians have become increasingly unsettled by arrests of Moroccan faithful and deportations of foreigners. 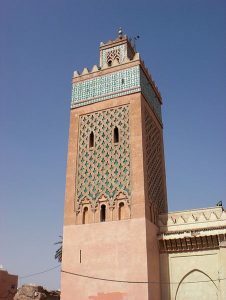 Morocco’s King Mohammed VI is seen as a moderate, but Islam is the official religion of the state, and the king’s titles include, “The Defender of the Faithful.” Christians are also suspicious as his government shares power in a coalition that includes the Justice and Development Party, considered to have links with the Muslim Brotherhood; the party calls for a society governed by Islam. On Dec. 28, 2005, Christian convert Jamaa Ait Bakrim was sentenced to 15 years in prison for proselytism and for destroying the goods of others by burning two abandoned telephone poles touching his property. In March 2010, the government expelled at least 33 Christian foreign residents from the country. Among them were 10 adult Christians, along with their children, who were running The Village of Hope, a foster daycare center for orphans. The foster children were turned over to the care of people they did not know. In addition to the expulsions, roughly 81 people were declared “persona non grata” for alleged proselytizing. There are about 8,000 Moroccan Christians out of a population of almost 35 million people, according to the 2012 International Religious Freedom Report of the U.S. Department of State.